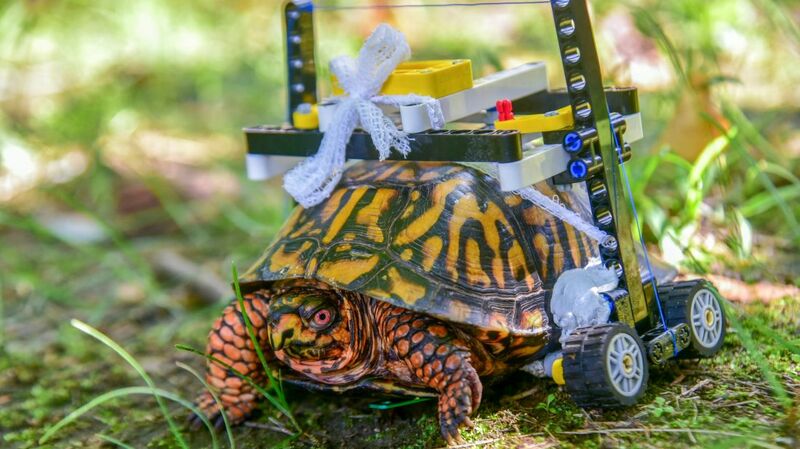 An injured Eastern box turtle in Maryland has been given a new lease on life thanks to an inventive veterinarian who fashioned a wheelchair out of LEGO bricks and other odds and ends. The turtle was suffering from a fractured plastron (the underside of his shell) when he was picked up at Baltimore's Druid Hill Park and brought to The Maryland Zoo by an employee, CBS Baltimore reports. 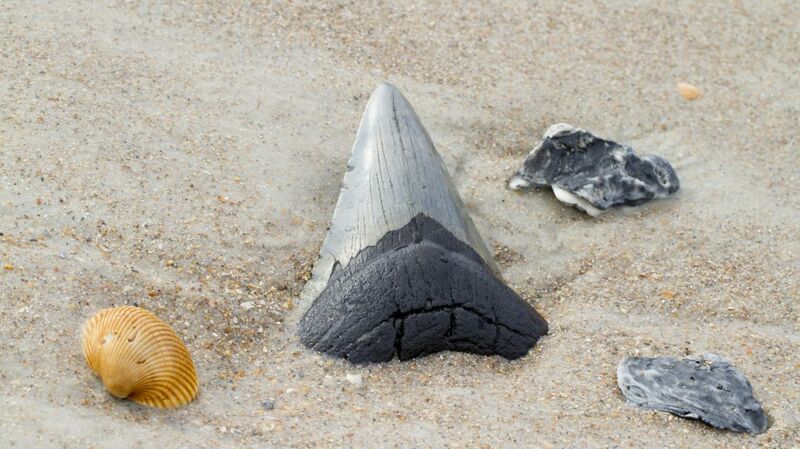 Metal bone plates, surgical wire, and sewing clasps were surgically implanted to stabilize his shell, but one problem remained. In order to heal properly, he had to be lifted off the ground. 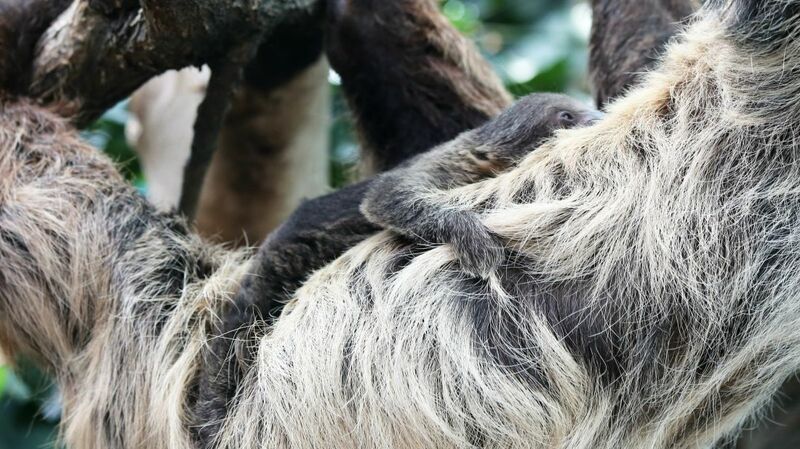 "We were discussing in our medical rounds that he needed to be elevated off the ground and we were thinking of ways we could do that," Garret Fraess, a veterinary extern, says in a video created by The Maryland Zoo. Fraess said it's unusual for the underside of a turtle's shell to be fractured because usually the back is the part that's most vulnerable. Since no ready-made shell repair kit was available, he had to think creatively. That's when he thought of LEGOs. After swapping ideas with a "LEGO enthusiast" friend in Denmark, they settled on a blueprint for a wheelchair frame that surrounds the shell and rests on four LEGO wheels. The device has helped keep their reptile friend mobile, and he's responded remarkably well to the lifestyle change. 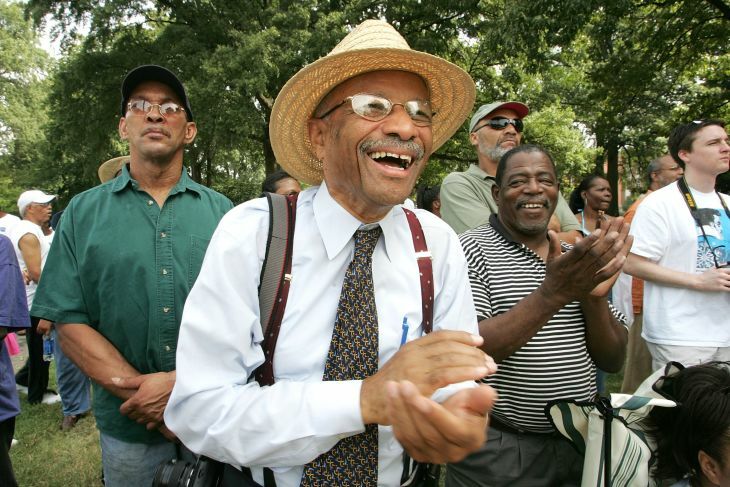 He's now able to "turn on a dime" and "scoot like a normal turtle," Fraess says. Once he heals completely, they'll start removing the pieces bit by bit, but that could take up to a year. Until then, he'll receive the best treatment a turtle can possibly get at the Baltimore zoo.